It’s extreme giveaway week over here at PwcMoms….so, here’s another one! 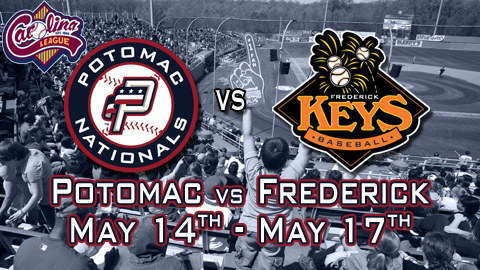 We’re so excited to be partnering with the Woodbridge, Virginia Potomac Nationals this year to bring you baseball all season long! You can find our original post on Potomac Nationals Baseball complete with pictures of Uncle Slam, too! My kids love them some Uncle Slam!! So- would you like to go to tomorrow night’s (May 18th) game? The P-Nats are hot right now! They just finished a doubleheader against the Keys and came out on top in both games!! To win, please leave a comment and be sure you can attend the May 18th, 2012 game! Winners will be selected tonight at midnight! The 18th is Halloween Night- so your kids can dress in costume for the game!! Baseball is such a fantastic family-friendly activity and we’re really thankful we have baseball locally here in Prince William County!